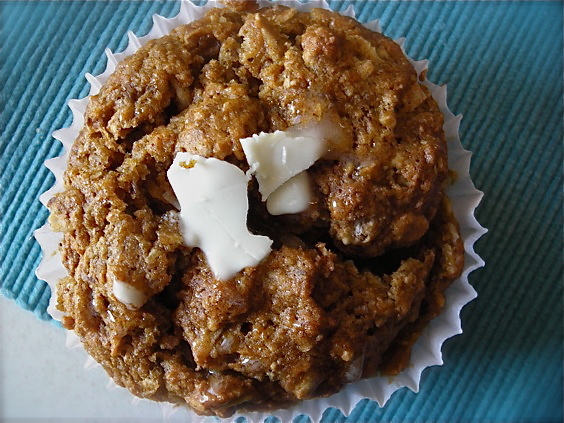 Found your site, while searching for a Sweet Potato Muffin recipe this morning! 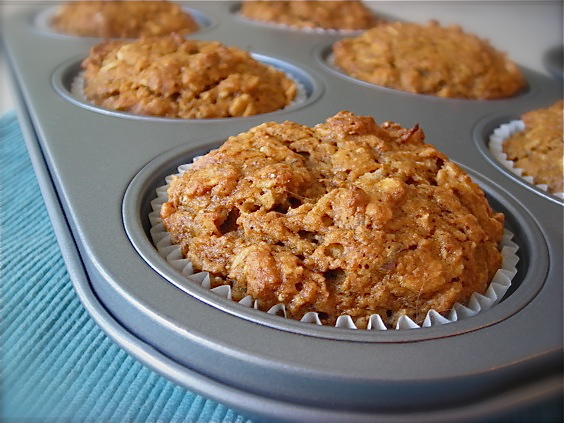 The muffins are amazing, I followed the recipe to a T and even added the crumbled topping! They are a hit with even my 2 picky toddlers! Thaks for sharing! I just made these – with some changes – and they are TASTY. No flax seed added, there’s none in the house… and I added more cinnamon, halved the nutmeg and added 1/8 of cloves and ginger, because I always bump up the spice a notch… Thanks for writing this lil treasure up! Absolutely love sweet potatoes! Sweet potatoes are such a versatile tuber and can be used in almost anything to make it extra good or served alone. Great blog post! Thanks for sharing this great recipe. Most excellent writing! What a joy to read. Thank-you. Kate – Thanks a million for sharing this! After reading your ode to sweet potatoes I simply had to make this recipe, and WOW is it delicious! My husband and daughter LOVED them as well…and considering our daughter is only 1 year old we think she’s a connoisseur of fine foods and good taste! A question back to you, however, is this: is there an accidental omission of salt in the recipe? If so, how much do you add? I threw in 1/4 tsp as a safety precaution, but was curious what the actual amount should be, if called for. I find it rare that salt is not included. I also reduced the 3/4 cups of brown sugar to 1/2 cup, and substituted the other 1/4 cup with brown rice syrup. Delicious! Finally, this year, I can find sweet potatoes here – and they are not old and wrinkled or outrageously expensive! I love Sweet Potatoes. 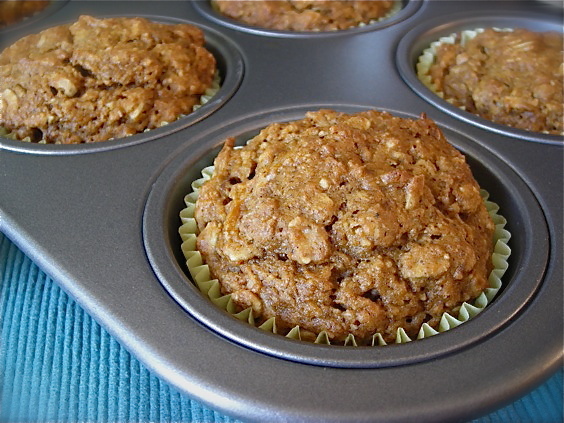 I have to try these spicy muffins with oats! Definitely!